You can click on the titles to go to Christianbook.com or Amazon.com to purchase them. Or you can click on “Read the BSE review” (where it appears) to see an in-depth review of the item. Nelson’s Compact Bible Dictionary, eds. Ronald F. Youngblood, F.F. Bruce, R.K. Harrison. The Baker Compact Bible Dictionary, ed. Tremper Longman, III. Also available as an ebook. The New Unger’s Bible Dictionary, ed. R. K. Harrison – Very conservative. Includes bibliographies with larger entries. New Bible Dictionary, eds. I.H. Marshall, A.R. Millard, J.I. Packer & D.J. Wiseman – Has been one of the top one-volume Bible dictionaries for many years. Includes bibliographies with larger entries. Interpreter’s Dictionary of the Bible – A generation ago, the standard multi-volume Bible dictionary was the Interpreter’s Dictionary of the Bible, whose five volumes were published between 1962 and 1981. You can actually get these super cheap online, which is amazing. I have seen these volumes sold separately on Amazon for as little as $0.55, depending on the volume. Obviously, being more than 30 years old, its scholarship is not the most up to date, but for the average reader of the Bible that is not important. Being on the cutting edge of biblical scholarship only really becomes important if that is what you are doing for a living. I used the IDB quite a lot during my PhD research to get an introduction to certain concepts and to consult its bibliography. The only reason I can see for the IDB to be selling so cheaply online is that people do not know how valuable it is. Anchor Bible Dictionary – Up until very recently, the most well respected and up to date multi-volume Bible dictionary was the Anchor Bible Dictionary. You can find this being sold on Amazon volume by volume for around $50 each used. There are six volumes, so you will pay at least $300 for the set, but if you have that to spend, it is worth it. New Interpreter’s Dictionary of the Bible – Most recently, a new version of the Interpreter’s Dictionary of the Bible, called the New Interpreter’s Dictionary of the Bible, was released in 2009. Like its predecessor it also consists of 5 volumes. Interestingly, this one I found used on Amazon, its volumes being sold individually for $10 per volume or less, meaning that you can get this whole set for maybe as little as $50 before shipping. New, this set would sell for over $300. I have not used this one extensively, but if it is like its predecessor, the NIDB is a worthy competitor for the ABD. Zondervan Encyclopedia of the Bible – The Zondervan Encyclopedia of the Bible is a five volume dictionary that aims to be more accessible than these other multi-volume dictionaries. It is probably the most thoroughly conservative of the multi-volume dictionaries, as well. It is an older work that received a recent thorough revision and was republished in 2009. This one is available in digital format on Amazon and Christianbook.com (***Note that you have to buy the volumes individually. Also, it appears that the navigating these as ebooks is rather difficult. 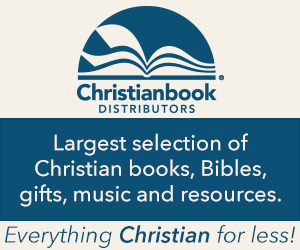 See, for example, the customer at Christianbook.com***). International Standard Bible Encyclopedia – There is one even older than the original Interpreter’s Dictionary of the Bible called the International Standard Bible Encyclopedia, which was published in 1939. Because of its age, it is now freely available as part of many if not most software packages, and its full text can be accessed online at www.internationalstandardbible.com. While it is dated, it still remains an important and useful reference work, and the fact that it is free is awesome.